Choose from a wide selection of packaging options to fit your needs. 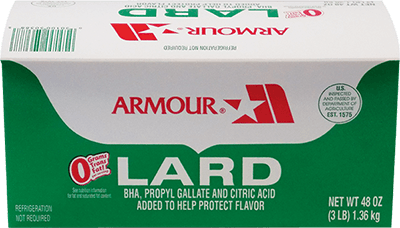 lard and fully hydrogenated lard, bha, propyl gallate and citric acid added to protect flavor. 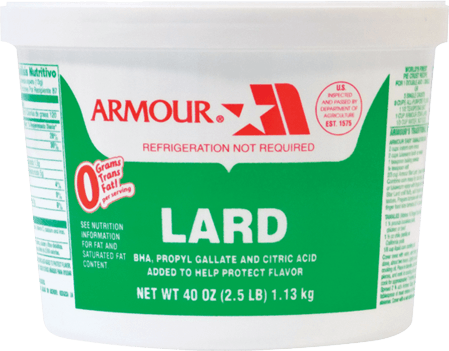 Refined lard that is manufactured under USDA supervision. 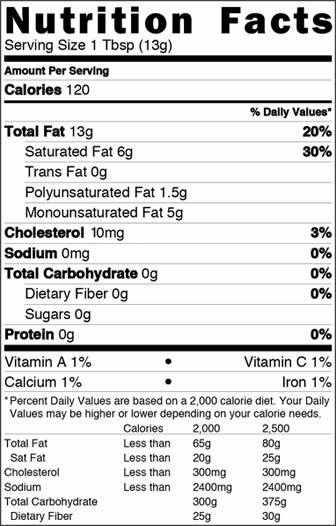 Commercial items have a one-year shelf life. 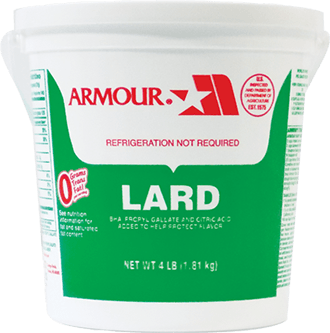 Refrigeration is not required. 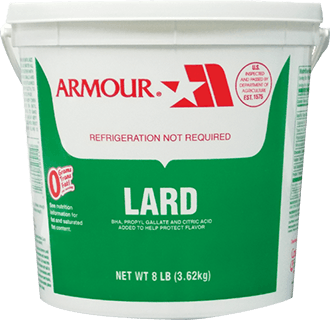 Product should be stored in a cool to ambient temperature. 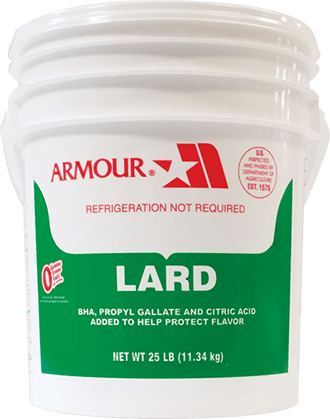 Freezing and cross contamination should be avoided. 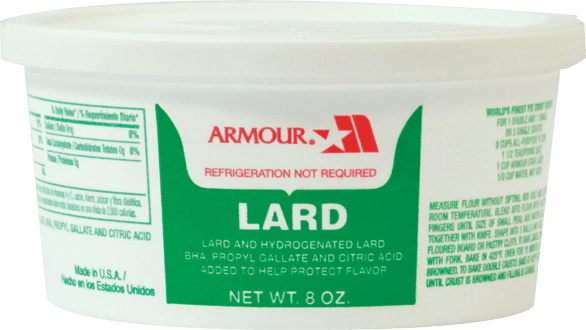 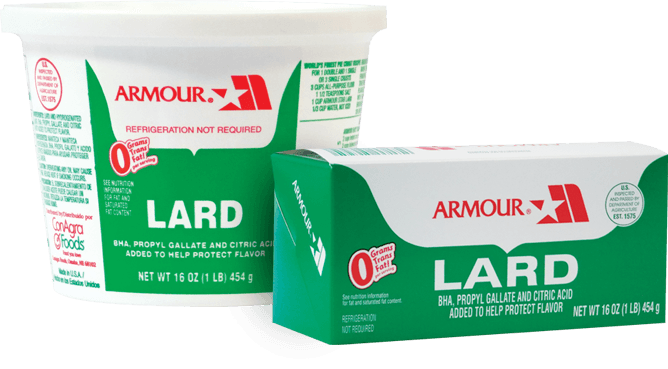 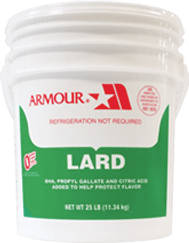 Find Armour lard at a store near you.